After making his debut on Overwatch's public test region (PTR) on PC, combat medic Baptiste is now available for play on PlayStation 4, Xbox One, and PC. 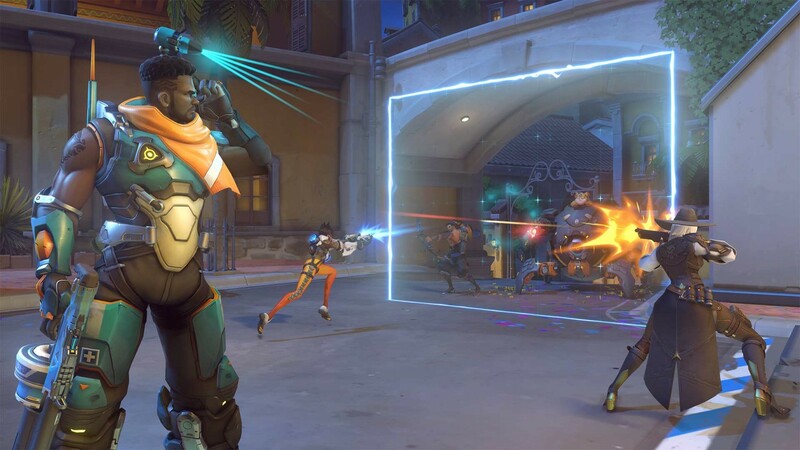 Baptiste wields a biotic launcher with a three-round burst, can activate a regenerative burst that heals him and nearby teammates, and deploy a device that creates an immortality field that lives up to its name and prevents death for teammates. He also is equipped with exo boots that gives him the ability to leap higher after a quick crouch, and can use a matrix to amplify the healing and damage done by projectiles that touch it. Baptiste is 36 years old and has set up camp in Tortuga, Haiti. He's an ex-Talon operative who now provides aid to humanitarian efforts. You can see what he's all about in Overwatch's quickplay and numerous arcade modes, but still can't use him in competitive play. This is a typical hero roll out from Blizzard. Baptiste should make his way to competitive play in the coming weeks.